Shopping for a new Mercedes-Benz AMG GT? The AMG-GT 4-Door Coupe was bred for the track, and if you’re going to use it that way the carbon-ceramic brakes work best. 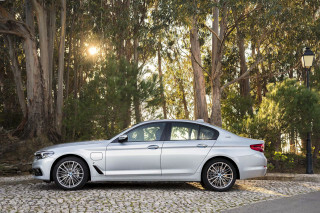 Thrilling acceleration, razor-sharp handling, lots of room for four, and coddling luxury. What’s not to like? The 2019 Mercedes-AMG GT 4-Door Coupe delivers it all. This report covers the AMG GT 4-Door Coupe. For a review of the similarly named AMG GT roadster and convertible, which are aimed at the Porsche 911, see our 2018 writeup. The only changes to that car this year are standard heated and cooled seats on the GT C model. Mercedes offers the AMG GT 4-Door Coupe in three models: the AMG GT 53, AMG GT 63, and AMG GT 63 S, each with more power than the last. The twin-turbo inline-6 in the GT 53 puts out 429 horsepower, while the 4.0-liter twin-turbo V-8 in the 63 models is rated at 577 hp in its base version and 630 hp in the S model. 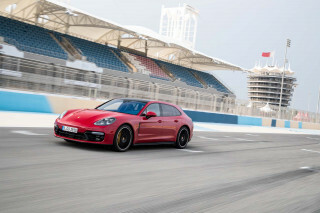 All GTs send their power to all four wheels via a 9-speed automatic transmission. The 53 model is no slouch with a 0-60-mph time of 4.4 seconds and a 174-mph top speed, but the AMG GT 63 S model offers unrelenting acceleration. It dispatches the 0-60 mph run in 3.1 seconds and keeps pulling all the way to 195 mph. AMG started with the architecture from the E-Class and CLS-Class to create the GT, but strengthened it and lengthened the wheelbase. Engineers also employed all the tricks to make this big car handle on a racetrack. Adjustable dampers are standard, and 63 models get multi-chamber air springs, an electronically controlled limited-slip differential (eLSD), and rear-axle steering. It all works to make this big and rather heavy GT four-door handle like a smaller sport sedan. The 63 models, especially, are track-bred monsters with agility that defies their size. Inside, all models offer a combination of sportiness, modernity, and luxury. Two 12.3-inch screens handle the instruments and infotainment, and the car can monitor laps on a track. The seats are sculpted to keep occupants in place, and they look elegant with the available diamond-pleated leather upholstery. Wood, carbon fiber, or piano black trim combine with the car’s aluminum and leather to create an environment worthy of the car’s six-figure price. Both seating rows offer lots of space, though the second row seats only two, not three. An Executive Rear Seat Package lets the rear seats fold down to make the useful hatch area even more handy. Like other Mercedes models, the GT should also be safe. 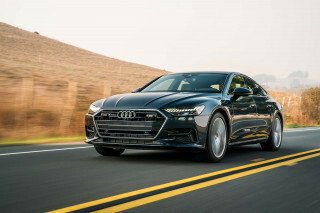 Its solid structure may never be subjected to crash tests, but the GT offers the full suite of Level 2 self-driving features in the brand’s Intelligent Drive system. The base price for the 53 model hasn’t been announced, but the 63 starts at $137,495, while the 63 S costs $159,995. Look for the AMG GT 4-Door Coupe in dealers early this year. Muscular outside and beautiful inside, the 2019 Mercedes-AMG GT 4-Door Coupe is sure to make the neighbors jealous. The Mercedes-AMG GT 4-Door Coupe is closest in concept to the Mercedes-Benz CLS, but that car is a sedan, while this one is a hatchback. They use the same architecture, but the GT’s wheelbase is stretched a half inch and its focus is more on performance. Up front, it features a convex grille, just like its AMG GT coupe and roadster counterparts. It also has slim LED headlights, and large air intakes along the lower portion of the fascia. Vertical louvers in the lower section of the fascia work as an active air panel that teams with a multi-stage rear spoiler to balance the car’s aerodynamics. The hood is marked by two rises that Mercedes, like every other automaker, calls powerdomes. The car’s profile rises slightly to its windshield, kicks up at that point, then traces a continuous arc down to the rear end where that spoiler resides. Along the sides, the look is clean, with a high beltline, small gills behind the front wheels, and a character line that starts near the bottom of the flared front fenders and resolves a little higher at the flared rear fenders. The rear end gets slim LED taillights, a rear diffuser that is more noticeable on the 63 models, air outlets along the sides, and either dual exhaust (53) or quad exhaust (63) outlets. Inside, the look is modern, exclusive, and sporty. The dashboard sits high and incorporates a pair of 12.3-inch screens under a single piece of glass. The lower portion of the dash can be trimmed in wood, carbon fiber, or piano black, and it features Mercedes’ beautiful turbine-inspired air vents. A wide center console dominates the center of the cabin and offers touch controls. The seats are beautifully upholstered with an available diamond pattern, and ambient lighting calls out the details of this sumptuous cabin. The 2019 Mercedes-AMG GT 4-Door Coupe can do it all. Power ranges from plentiful to thunderous, and its mode selector amps it up for track duty or calms it down for street cruising. The AMG GT 4-Door Coupe shares its basic structure with other Mercedes, but AMG engineers reinforced several areas of the body by adding aluminum front strut domes, three mid-body braces, a rear aluminum crossmember, and a rear steel V-brace. The result is a stiff structure that is ready to respond to the driver’s inputs. The Mercedes-AMG GT 4-Door Coupe is a large car at 199.2 inches long and some 4,400 pounds, but a lot of suspension and performance equipment helps it feel smaller than its size. In fact, it sets a new benchmark for four-door performance, at least in its 63 S configuration. Adjustable dampers are standard and 63 models get multi-chamber air springs and rear-axle steering that turns the rear wheels 1.3 degrees opposite of the fronts at speeds below 62 mph to virtually shorten the 116.2-inch wheelbase. An electrically controlled limited-slip rear differential has a clutch that can send power to the outside wheel in turns and lock up to help the 315-mm wide Michelin Pilot Sport 4S rear tires shove the power to the pavement when the road or track straightens out. Three brake packages are offered, and the smallest are a healthy 14.2 inches in diameter. The largest are the carbon-ceramics, which feature 15.8-inch front rotors with six-piston calipers. This all creates a car that is amazingly agile and ready for the track. Quick steering and the stiff front structure conspire to create immediate turn-in response. The car is heavy, so it will push wide in a corner if taken too fast, but it regains its composure quickly with a brush of the strong brakes. The rear-axle steering and eLSD help it carve through turns like a smaller car, and the drive modes either dial up the response times or calm the car to make it relaxed on the street where the ride is still firm but livable. Mercedes arms the GT four-door with power in its basic form and only adds more from there. The base engine in 53 models is a twin-turbo 3.0-liter inline-6 that makes 429 hp and 384 pound-feet of torque. It uses a 48-volt hybrid system to add power and run the water pump and air conditioning. It dispatches the 0-60-mph run in 4.4 seconds and tops out at 174 mph. It’s no slouch. The 48-volt hybrid system eliminates the need for belts. It makes the stop/start function seamless and smooth, and its electric supercharger fills in for the turbos as they spool up. It’s a trick system that allows for impressive power with decent fuel economy. With the twin-turbo 4.0-liter V-8, the GT is a rocket. The base version in the 63 model makes 577 hp and 590 lb-ft of torque. It launches the GT from 0-60 mph in 3.3 seconds and pushes it all the way to 193 mph. The 63 S model’s 4.0 turns up the wick to 630 hp and 664 lb-ft of twist. The 0-60 mph run flashes by in 3.1 seconds and the top speed increases slightly to 195 mph. In all models, power flows through a quick-shifting 9-speed automatic transmission that can also be shifted via steering wheel paddles. There’s no need to pull those paddles on the track, though, because the Sport+ and Race programs hold gears longer, downshift for turns, and always have the power at the ready. Mercedes gives the 4.0 some personality, too. It barks between gears, and crackles and pops when it’s time to slow down in the Sport or Race modes. Even the inline-6 exhibits some of this behavior in its Sport+ setting. 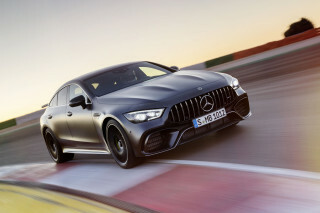 Practical, luxurious, and sporty, the 2019 Mercedes-AMG GT 4-Door Coupe will transport four passengers in comfort and style and do it quickly. The AMG GT 4-Door Coupe manages to feel roomy and claustrophobic at the same time. Both the front and rear seats offer good space, but the top door sills wrap low and the seat bolsters push up high to limit the size of the entry space. Once inside, the high door line also makes occupants feel closed in. Those performance front seats are standard equipment in the 63 models. They will pinch wider backsides, but do a great job of keeping drivers snugly in place on a canyon road or racetrack. The standard rear seat is a two-passenger affair with carbon-fiber backs that don’t fold down. Both leg room and head room are plentiful, which makes the GT 4-Door Coupe a great car to take your friends for a joy ride. An Executive Rear Seat Package adds rear seats that fold in a 40/0/40 split and a center touchscreen that controls climate and infotainment functions. Those folding seats make the useful cargo space behind the second row even more functional because long items will fit. As for luxury, the GT doesn’t disappoint. You want these materials in your study. The include rich leathers, polished aluminum, and a choice of wood, carbon-fiber, or piano black trim. Mercedes even offers its Energizing Comfort system that has 10-minute programs to relax the driver by controlling the climate system, music, seat heating and cooling, the fragrance system, the ambient lighting, and music. The digital instrument cluster offers three themes: Classic, Sport, and Supersport. The infotainment system also includes an AMG Track Pace feature that can capture and analyze lap times. The 2019 Mercedes-AMG GT 4-Door Coupe has no crash test ratings, but it offers a solid structure and plenty of safety features. Neither the IIHS nor the NHTSA have crash-tested the four-door AMG and with its six-figure price, we don’t expect them to. However, it should be one of the safer cars on the road thanks to a stiff structure and a host of safety/semi-autonomous driving features. Mercedes hasn’t announced the standard safety equipment on the GT 4-Door Coupe but has said it will be offered with the Intelligent Drive system from the S-Class AMG model. This Level 2 self-driving system can steer, control the throttle, and apply the brakes to keep the car in its lane. It combines adaptive cruise control with forward-collision warnings with automatic emergency braking, active lane control, blind-spot monitors, and an active lane-change feature. It also uses GPS data to slow the car down for sharp turns, toll booths, roundabouts, and other junctions. 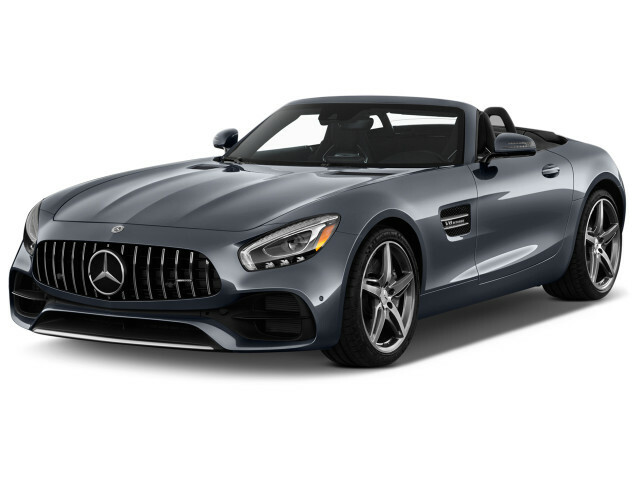 The 2019 Mercedes-AMG GT costs a lot but offers a lot, both in terms of luxury and performance. Mercedes offers the AMG GT 4-Door Coupe in 53, 63, and 63 S models..
Standard equipment on the 53 models includes sport seats, a 12.3-inch instrument panel screen, a 12.3-inch infotainment screen, navigation, steering wheel shift paddles, adjustable dampers, the Dynamic Select system that changes drive modes, LED headlights and taillights, an adjustable rear spoiler, a rear liftgate that opens with the kick of a foot, and 19-inch alloy wheels. The 63 model adds performance seats, a multi-chamber air suspension, an electrically controlled locking rear differential, rear-axle steering, and 6-piston front brakes with red calipers. At the top, the 63 S model adds a Drift mode and a Race mode, yellow brake calipers, the AMG Performance Exhaust System, the AMG Dynamic Plus Package with active engine mounts, AMG Drive Unit steering wheel controls, and 20-inch wheels. Performance options include carbon-ceramic brakes and 21-inch wheels. Available packages consist of a Night Package with gloss-black exterior trim, a Chrome Package with chrome exterior trim, two Carbon-Fiber Packages, and an Aerodynamics Package that has a fixed rear spoiler, a modified rear diffuser, a larger front splitter, and gloss-black trim. An Executive Rear Seat Package adds two folding rear seats and a center touchpad that controls several comfort and data functions. Buyers can also get the Energizing Comfort system first introduced in the S-Class, and a 23-speaker Burmester sound system. While the 63 models will go pretty hard on gas, the hybrid 53 models offer decent fuel economy to go with their ready power. The AMG GT 53 model will certainly be the most efficient model. Ratings aren’t out yet, but the 2019 Mercedes-AMG CLS 53, which features the same 48-volt hybrid system is rated at 21 mpg city, 27 highway, and 23 combined. That’s not Prius territory, but not bad for a 429 hp car. Expect the AMG GT 63 and 63 S models to get somewhere in the neighborhood of the 16/22/18 mpg of the AMG GT coupe and roadster. Looking for a different year of the Mercedes-Benz AMG GT?